Oncologists in Spain are recruiting patients for the randomized phase of the pleural mesothelioma clinical trial involving ONCOS-102, the promising immunotherapy vaccine. Optimism surrounding the trial stems from encouraging results obtained recently in the six-patient safety cohort used as a precautionary lead-in. 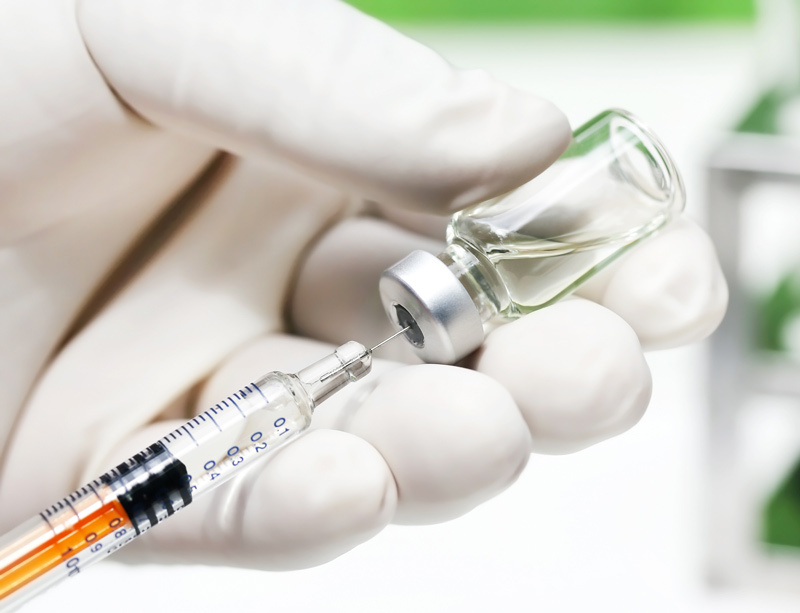 The trial involves the vaccine in combination with standard-of-care chemotherapy for patients with inoperable disease. ONCOS-102 is a scientifically engineered adenovirus that is designed to activate a patient’s immune system to selectively target cancer cells. It is being developed by Targovax, a Scandinavian pharmaceutical company that focuses on developing immunotherapies for tough-to-treat solid tumors. Dr. Magnus Jaderberg, chief medical officer at Targovax, called the trial an important milestone for the company and the ONCOS program. “It will now be interesting to see if this early signal of efficacy is confirmed in the randomized part of the study,” Jaderberg said. In either a first- or second-line setting, investigators in the trial will inject ONCOS-102 directly into the tumor lesions of the pleura, the lining around the lungs where mesothelioma typically forms. Patients will be scheduled for six treatments over a five-month period. The goal of the trial is to determine the degree of immunological activation and the overall response rate to the drug combination when compared to the standard chemotherapy regimen of pemetrexed (Alimta) and cisplatin. Investigators also will measure outcomes by time until progression-free survival and overall survival. The trial will include 20 patients in the experimental group and 10 patients in the control group. They are being recruited to cancer centers in Barcelona, Girona and Madrid, Spain. In the earlier safety cohort, the ONCOS-102 and chemotherapy combination stabilized mesothelioma in two of the six patients. A third patient had a partial response. The six-patient cohort showed no serious safety issues, only minor flu-like side effects, which were expected from an adenovirus derivative. The optimism for the randomized part of the trial also stems from an earlier, second-line clinical trial with ONCOS-102 in Finland that involved various solid tumors that were no longer responding to chemotherapy. In that trial, ONCOS-102 showed a 40 percent disease stabilization rate across all cancers. The earlier trial included two mesothelioma patients, who responded positively. There currently is no FDA-approved second-line treatment for unresectable pleural mesothelioma. Targovax also launched trials of ONCOS-102 for melanoma, ovarian cancer and prostate cancer. Most medical professionals believe the future of cancer care will involve immunotherapy drugs like ONCOS-102. There are more than 100 of them now in various stages of development. Targovax. (2018, May 2). Targovax announces early signal of efficacy in ONCOS-102 trial in mesothelioma.